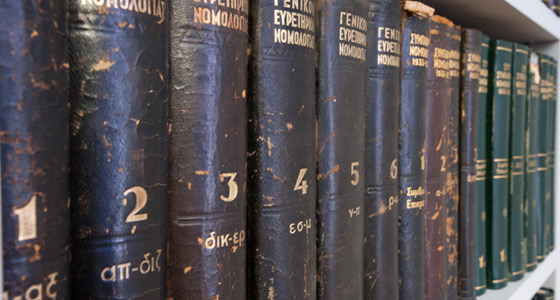 Civil Litigation | Greek Lawyers – Stavropoulos L.C. The firm provides in-depth expertise in all areas of civil litigation and arbitration. Our associates have many years of experience in representing clients before Trial & Appellate Courts and the High Court in the territory of Greece. The firm is also experienced in representing clients before the Athens Chamber of Commerce Arbitration Council and other forums for alternative dispute resolution. Our Firm has represented clients in a wide range and variety of cases, including international trade and investment disputes, commercial transactions, real estate, corporate governance and bankruptcy. With the development of Civil Liability and Personal Injury Law and increased legislation, claims are on the increase. The Courts have also extended liability and claims are no longer restricted to the injured party but also to close relatives. Changing social trends have caused an increasing tendency to want to claim. Our firm has for many years consistently met the need for skilled and experienced advice and act as legal counsel for a number of corporate and private entities including the two largest insurance companies in Greece. The Firm assists clients at every stage of a proceeding. We are sensitive to the cost concerns of small businesses and individual clients, and our associates always discuss with clients the merits of pursuing a case against the likely costs. Consequently, we strive to keep litigation costs commensurate with the amount at stake and prospects for favourable results.